Scotty McKnight, a record setting wide receiver from Colorado who also spent time in the NFL, lived an incredible story as an athlete. Today, he has transitioned to sharing the stories of future stars in sports as the President of GOAT Farm Media, which helps professional athletes create, control and profit from the stories they desire to share. As a multi-media expert, Scotty identifies, ideates and creates stories that are shared across the globe. Most recently, he co-produced the series ... Más informaciones Destination Dallas with Aaron Rogers, chronicling the 2018 NFL Draft and various players such as Arizona Cardinal QB Josh Rosen’s path. We sat down in the Athlete’s First RV at the Super Bowl in Atlanta and discussed his plans for the 2019 NFL Draft and the content he is producing that will appear on Showtime, Sports Illustrated and others, as well as the ‘why’ behind his career choice. For more insight on Scotty and the content he and his team are creating follow @GoatFarmMedia on twitter or visit https://goatfarmmedia.com/. 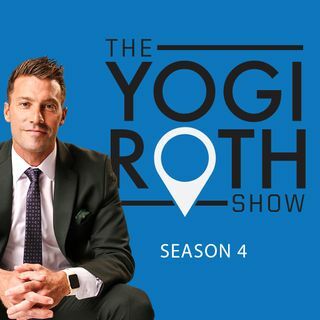 If you’re seeking other conversations detailing the humanity in sports around the globe follow @YogiRoth or visit https://www.yogiroth.com/podcast/.